Are you sick and tired of being sick and tired? Disease DOESN’T just strike at whim. What do if I told you that most diseases have an underlying ROOT cause? That YOU aren’t some random number picked by nature to have an Autoimmune Disorder, Hypothyroidism, Hashimoto’s, Cancer, Diabetes or Alzheimer’s. Would you believe me if I told you that you hold the key to the answer. Taking charge of you health doesn’t have to be complicated. Americans are in such a pathetic health crisis. We have the abundance of everything at our finger tips but yet we 1 in 3 people are on some sort of medication. It doesn’t matter if it’s Prescribed or over the counter. Why are we are in such a state of denial? Every Cell in your body responds to the foods you eat, the products you put on your body to the house hold chemicals that your purchase for your home. All of these things have a direct impact on your hormones and in return your hormones have a direct impact on every major system in your body. Not to mention that our body is lacking certain nutrients that heavily influence the function of every cell in our body. The foods that we consume, oh, the foods we consume. This entry was posted in Uncategorized and tagged #body, #books, #depression, #detox, #diabetes, #diet, #exercise, #fatigue, #food, #health, #hypothyroidismbreakfasts, #hypothyroidismdetox, #journey, #labels, #life, #love, #medicine, #nutrition, #water, #weightloss, #wisdom on February 7, 2017 by thehypothyroidismchick. New year, New you. Detoxify, Alkalize and Energize your Body. The standard American diet is highly acid-forming, overwhelming our body’s mechanisms for removing excess acid. The staples of the American diet are meat, dairy, corn, wheat, and refined sugars (all acidifying foods). At the same time, the diet is notably deficient in alkalizing fruits and vegetables. The alkaline diet greatly reduces this acid load, helping to reduce the strain on the body’s acid-detoxification systems, such as the kidneys. – Drink 6-18 cups of water each day. A good rule of thumb is to drink half your body weight in ounces. 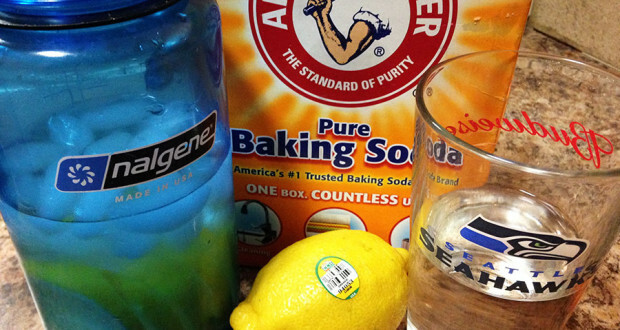 – Drink lemon water: 2 cups of lukewarm, filtered water with freshly-squeezed juice from 1/4 lemon. It helps cleanse the digestive system, ignite your metabolism and buffer excess acids. 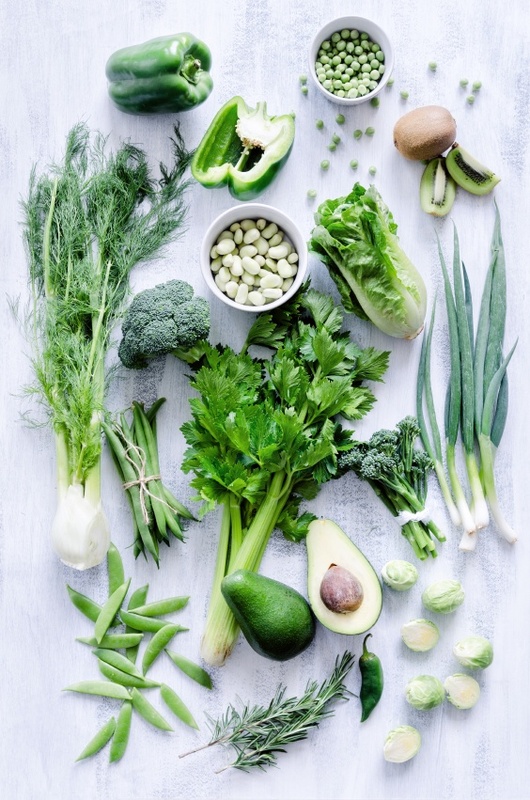 Alkaline foods are those you already know are good for you: fresh vegetables, salads, leafy greens, low-sugar fruits, nuts, seeds and healthy oils; unrefined, organic, high-water-content foods. And acidic foods are those you already know are bad for you: refined foods, fast foods, trans-fats, meat, dairy, sugar, caffeine, white bread, white pasta and rice, condiments, alcohol, chocolate, chips, ice cream and pizza. 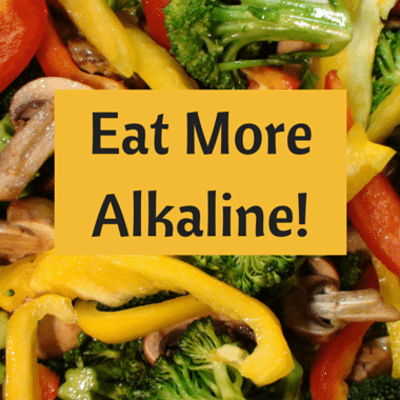 Aim for a ratio of 80/20: Consume 80 percent alkaline foods to 20 percent acidic foods. 5 day dinner plan with recipes! The 5 day menu plan is only a suggestion with examples of recipes to show you have super easy this can be. You can stick with one smoothie everyday or switch it up. If you were to buy the entire menu it would cost you a arm and a leg. I am only giving you idea’s of what you can eat. Your in control, have fun and enjoy it. Omega 3, cage free Eggs (acid-promoting) scrambled with organic spinach (alkaline) served with half a grapefruit (alkaline). Organic Salad greens (alkaline) served with slices of roasted turkey meat (acid-promoting) dressed with a chunky, homemade avocado-lemon dressing (alkaline). Salmon patty (low acid-promoting) on half a whole-wheat bun (acid-promoting) served with stir-fried veggies (alkaline). It is recommended to drink this mixture between meals, as if taken with food, it will reduce the effectiveness of the stomach’s acid and compromise digestion. Beware, this method is not ideal for people with high-blood pressure because of the sodium content. Also, the taste will take some getting used to. Sauté onion in olive oil. Stir, then add washed, chopped greens from the beet bunch. Cover and simmer eight minutes. Remove beets from pan, top with Orange-Mustard Vinaigrette*, and serve immediately. Mix in a jar and shake well. Cut cucumbers in half lengthwise, then slice into half-moon slices. (I never peel Persian cucumbers, but if you use other cucumbers you might want to peel some of the skin off in stripes before you slice them.) Dice tomatoes or cut cherry tomatoes in half to make one cup. 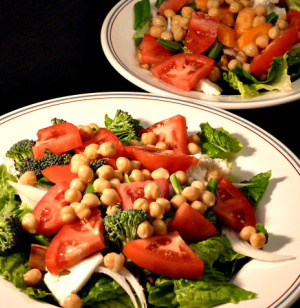 (Only make this salad when you have flavorful fresh tomatoes.) Diagonally slice green onion or slice onion to make 1/4 cup, or more if you like onion. Peel and cut up the avocado into small cubes. Combine the cucumber, tomato, onion, and avocado in a plastic or glass bowl and gently toss together. Add a small amount of balsamic vinegar, enough to barely coat the veggies, and toss again. (I used about a tablespoon of vinegar, which was plenty.) Season to taste with your favorite sea salt and plenty of fresh-ground black pepper. 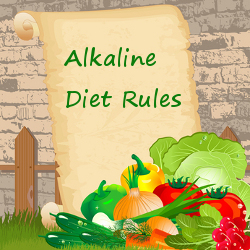 Simple really – it’s a quick and easy way to see how alkaline or acid you are. Many believe, the more acid is in the body – the weaker it will perform. Robert Young* lists fatigue, allergies, overweight & mood disorders as some of the most common problems of over acidity. It is recommended to test your body’s pH at different times of the day, first of all to get a more accurate average reading and also because the pH can naturally vary throughout the day. By keeping a track record, you can monitor your progress. 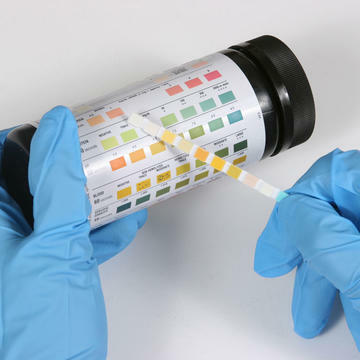 Testing the pH of urine is more reliable than the pH of saliva, as it is more stable. This entry was posted in Uncategorized and tagged #detox, #glutenfree, #hypothyroidism, #organic on December 25, 2015 by thehypothyroidismchick.